(LWI) - A group of 28 students from all LWF regions successfully finished a new online course on Lutheran theology, devised and facilitated by The Lutheran World Federation (LWF). The course aims to equip undergraduate students, pastors and church workers interested in reflecting on Lutheran theology. Thanks to the online course, Niwarinda Uwitonze Nwema, a layman from Uganda, has a new understanding of what it means to live within the ecosystem in the 21st century. 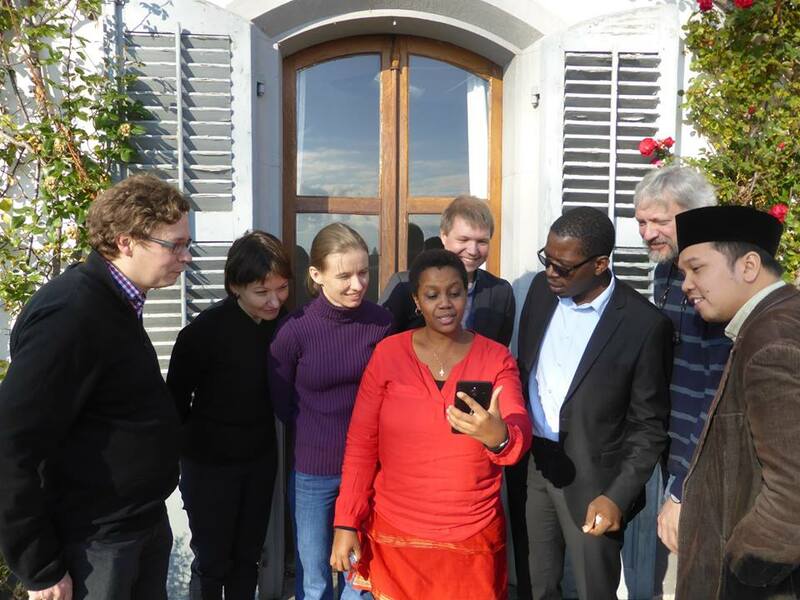 Nwema took part in the eight-week pilot course developed by The Lutheran World Federation (LWF), which ran from October 2017 until the end of January and has deepened his faith-based engagement in the world. He is one of 28 students from Africa, Latin America and the Caribbean, North America, Asia and Europe, who registered for the course, including students from the U.S. Chile, Uganda, South Africa, Poland, Germany, Malaysia and India. The course was aimed at undergraduate students but also pastors and church workers who are interested in reflecting on different aspects of Lutheran theology. It was initiated as part of LWF’s commemoration of the 500th anniversary of the Reformation in 2017, and developed by an international working group of theologians in conjunction with LWF’s Department for Theology and Public Witness (DTPW). The theologians acted as tutors for the course, which began on 16 October and ran until 10 December with final papers due at the end of January. It was divided into eight week-long modules that included video lectures, compulsory readings and online and video tutorials. The curriculum included: Luther, Lutheranism and Justification; Transformative Reading of Scripture; Church and Churches: Ecclesiology; Creation; Two Kingdoms; Faith and Serving Your Neighbor – Diakonia; and Lutheran Theology and Interreligious Relations. In the video introduction to the course, Rev. Anne Burghardt, secretary for ecumenical relations for LWF and one of the co-coordinators of the course, noted that the relevance of education has been a hallmark of LWF since its founding in 1947. It is rooted in Luther’s baptismal theology and understanding of the priesthood of all believers as well as his statement that the church must educate children to serve God and the world. If we want capable people who want to understand their faith and are capable of theological discernment, we have to teach people to think theologically. “If we want capable people who want to understand their faith and are capable of theological discernment, we have to teach people to think theologically,” she said, quoting Luther. The course marked a significant step into unexplored terrain for LWF, offering opportunities to connect people online around the global communion, and to hear about various approaches to theology and contextual issues, Burghardt added. “LWF is always looking to deepen its identity and sense of communion around the world, and provide opportunities for deeper theological reflection across the variety of contexts in which our faith is lived,” added course co-coordinator Rev. Dr Chad Rimmer, LWF study secretary for Lutheran Theology and Practice. “This online course provided a platform for trans-contextual learning. We were able to create a global cohort of youth and adults of all ages, cultures, languages, genders, lay and ordained from across our communion,” Rimmer said. The course lectures reflected this dual purpose of anchoring theology in the best insights of the Reformation while discerning their relevance for the future. Dr Eneida Jacobsen, for instance, said in her lecture on Creation that Luther’s insights around God’s reconciling communion can be understood to include all creation. Dr Sylvester Kahakwa noted that Luther’s notion that good works are not a warrant towards salvation, one shouldn’t separate one’s faith from daily life. That message resonated with Methodist educator Debbie Loh of Kuala Lumpur, another student changed by the course. “Lutheran theology seems to be able to handle the work in the world very well and the course readings display that robustness,” she concluded.